CUPE 3903 members, along with York students, staff and community members, are welcome to visit our strike headquarters. The location of the headquarters is 45 Four Winds Drive, Unit D. Find it on a map here. For more information, please email sectreasurer3903@gmail.com. 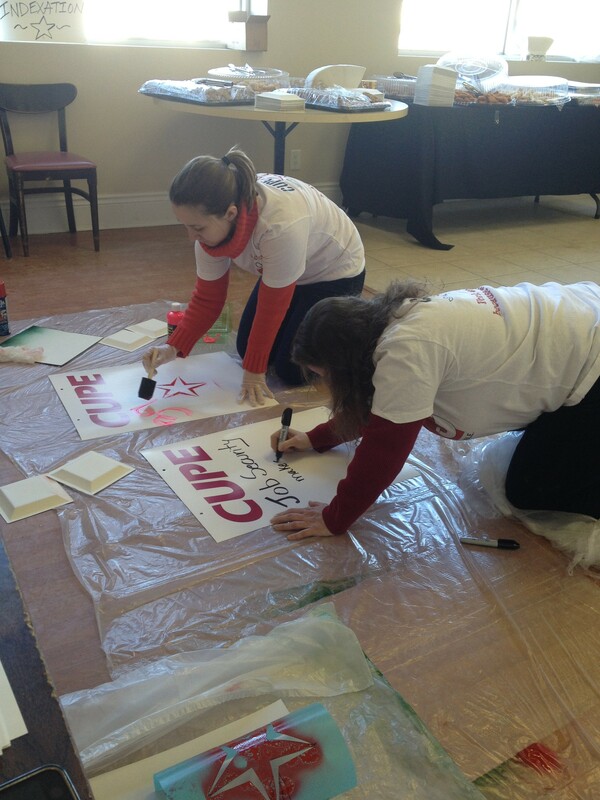 Members of the Executive Committee make placards before the grand opening of strike headquarters.